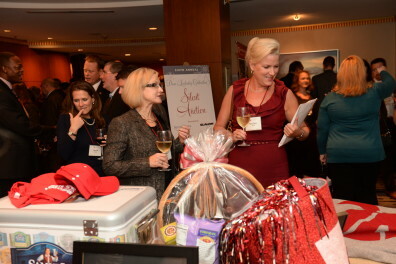 Guests perusing the silent auction tables. 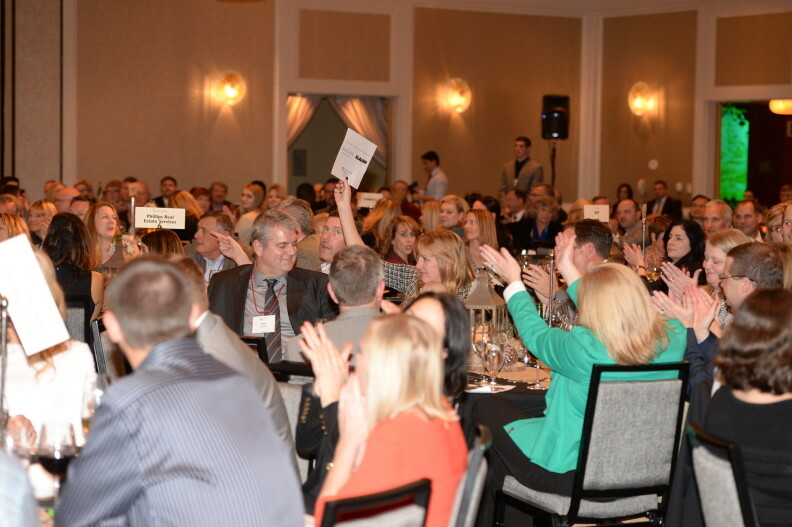 The Seattle Marriott Waterfront was the scene of this year’s Sixth Annual Dean’s Leadership Celebration, and the evening was just a little more special as it marked the first as the Carson College of Business. Through the collective efforts of donors, friends and alumni who participated in the silent and live auctions, the event raised nearly $500,000 to support the Carson College of Business Center for Student Success. 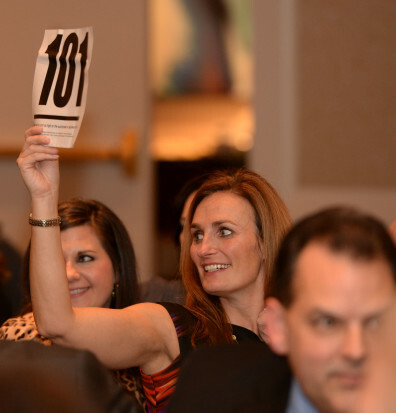 Bidding during the live auction. As part of the night’s festivities, guests listened to the music of the WSU Jazz society and perused a variety of silent auction items such as a Go Cougs! Pendleton Blanket, vintage football prints, gourmet wine and certificates for golf, restaurants and resorts worldwide. The live auction and program recognized the lifetime giving of donors to Carson and featured magnums from the wineries of Doubleback, Leonetti and FIGGINS, a private quarterback lesson with Jason Gesser, tickets and exclusive sideline passes to the Seahawks vs. Rams game and a trip to Canyon Ranch. 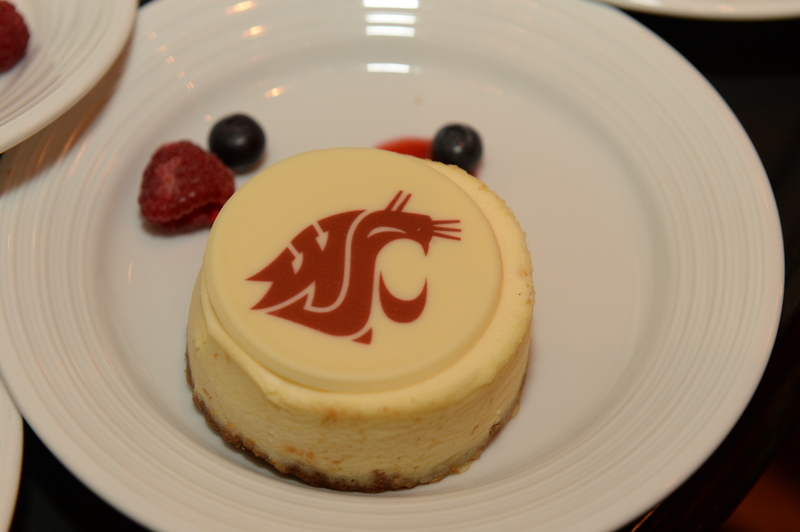 The event concluded with custom cheesecakes emblazed with the crimson cougar head symbol. Thanks to Seattle Marriott Waterfront for the Go Cougs cheesecake! The college’s deepest gratitude goes to Scott and Linda Carson for their generous contribution and legacy of commitment to the college and to WSU. Special thanks are also in order for presenting sponsors Slalom, LLC and Silver Creek Capital Management as well as all event sponsors and volunteers.